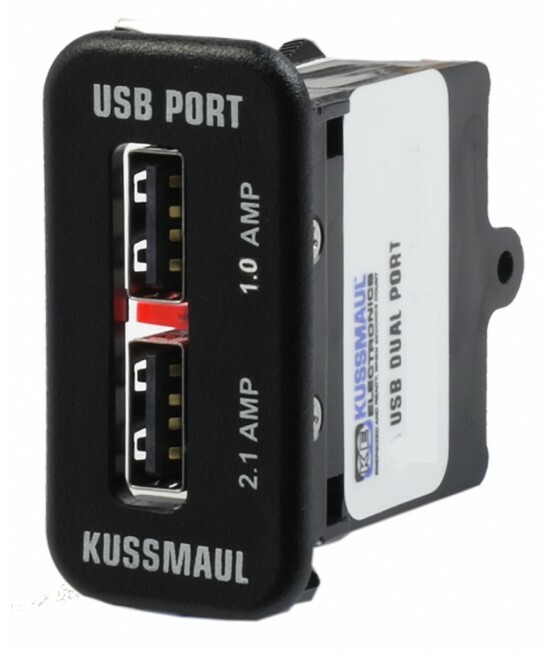 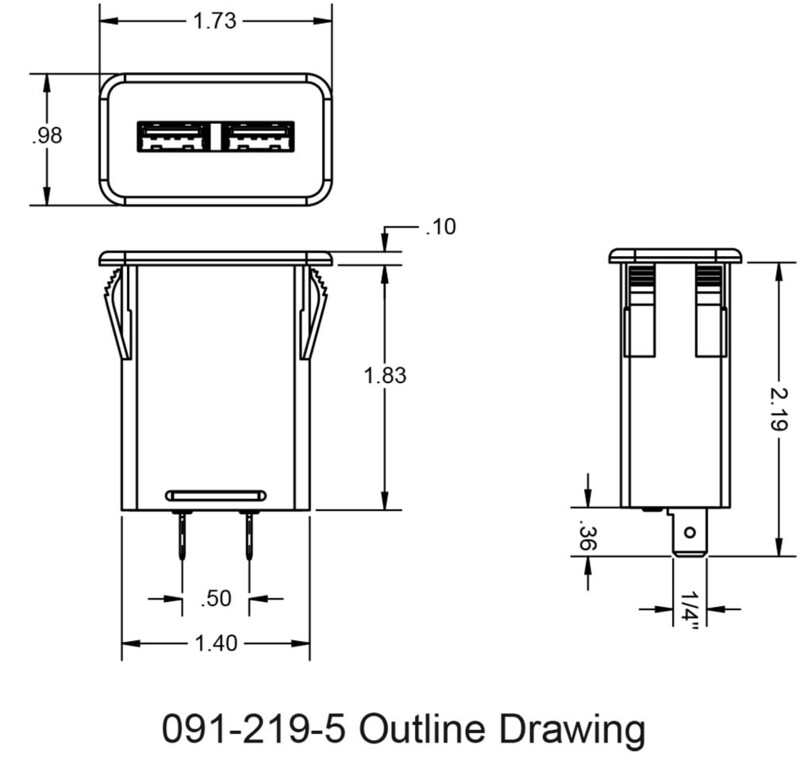 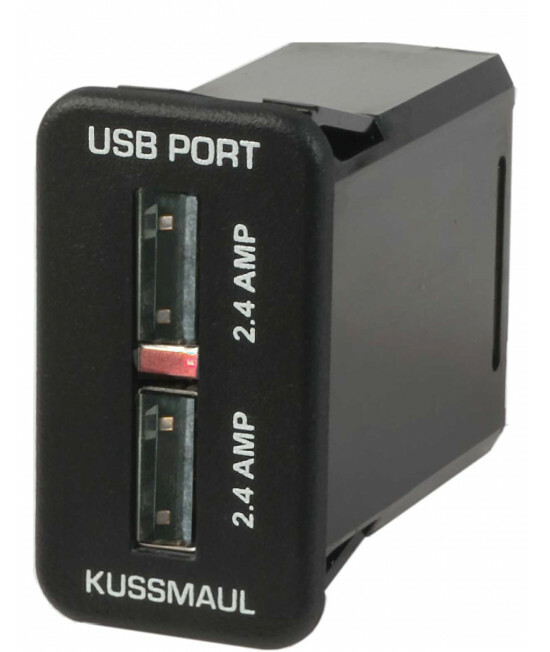 The 091-219-5 Dual USB Charging Port is designed to fit into a standard 1.45” x 0.83” panel cutout. 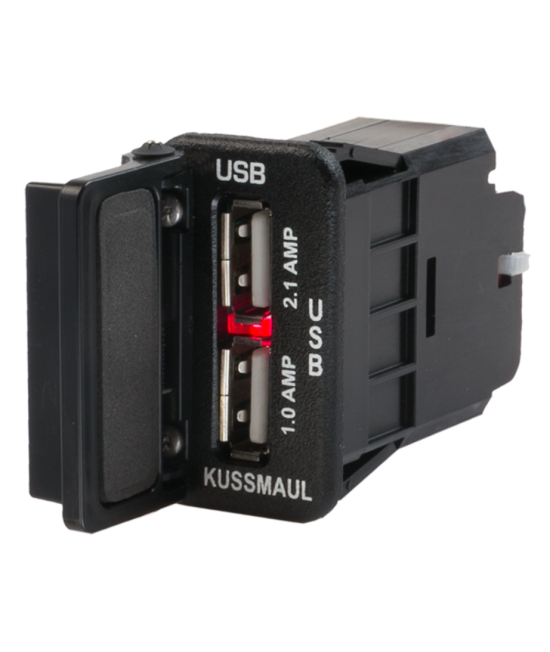 Connect the red wire to either +12 Volts continuous (battery positive) or switched 12 Volt power (ignition) using a 3 Amp fuse. 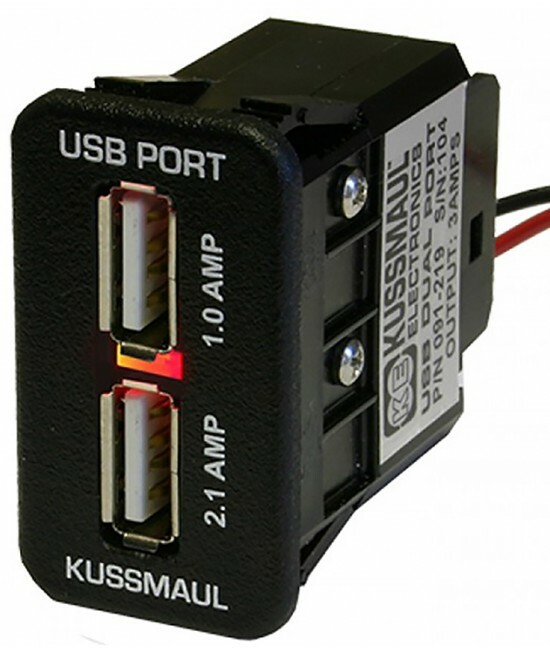 Connect the black wire directly to chassis ground (battery negative).